How can I import boards? 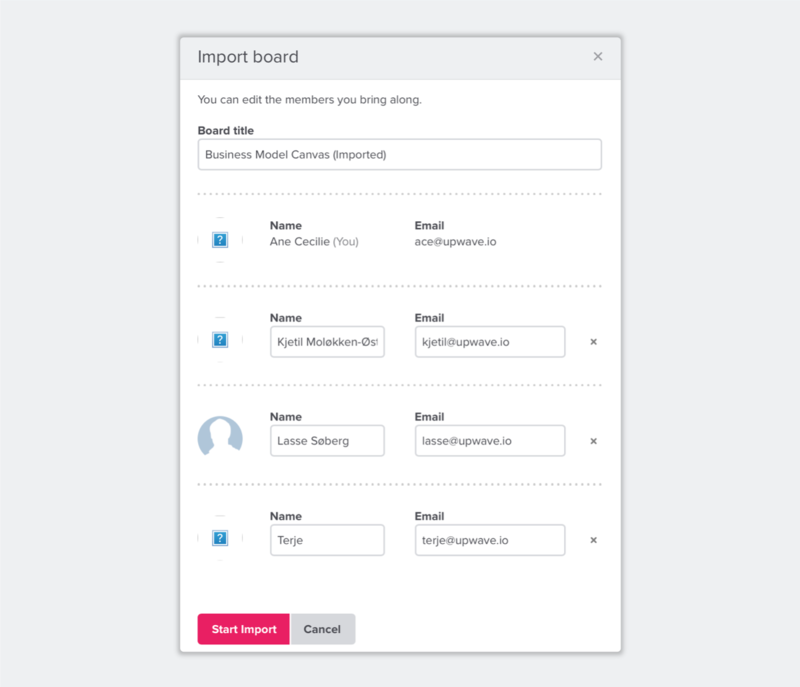 When importing a Board, the JSON file you select will be uploaded to Upwave servers, checked for errors, and parsed to re-create the entire board structure and data. 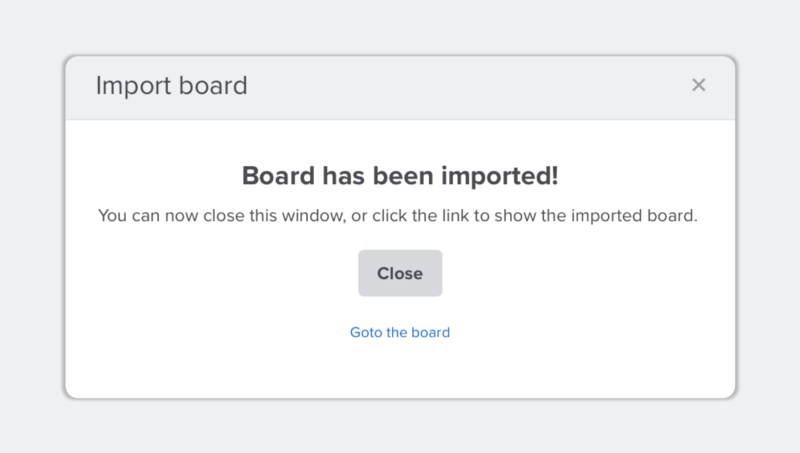 Go to the team where you want to put the board and click on "Import board"
You can decide if you want the original board members to carry over. If you choose to do so, they will get an invite-email to join your new board and will be added as members in your Upwave workspace (if not already). If you decide to remove members, their cards, comments and other data will still be recreated, but under the name of "Anonymous". Voilà, you are all done! 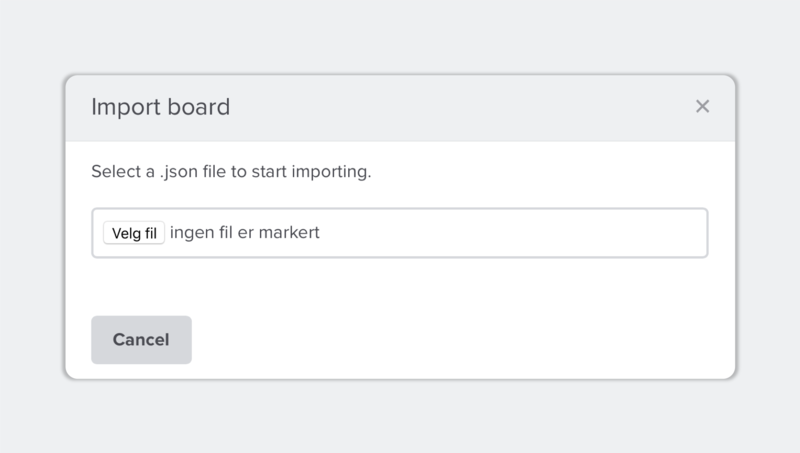 Are you importing boards from Trello?